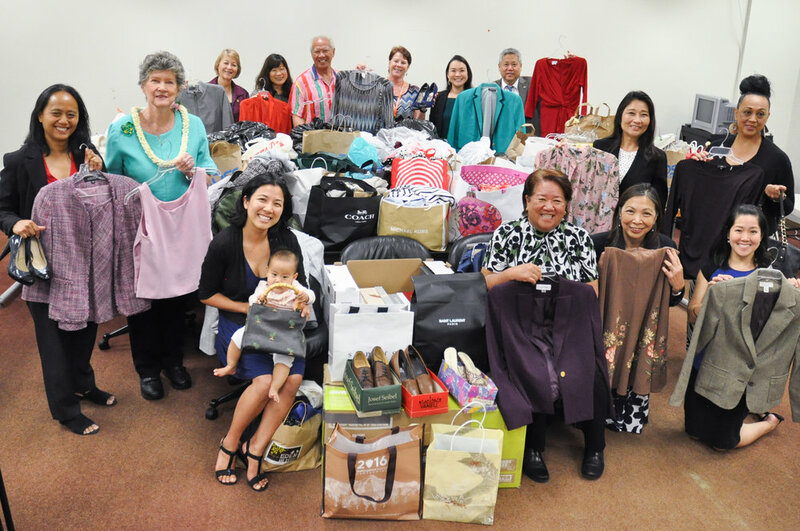 Dozens of individuals brought, bags, boxes, and bundles of clothes, nearly filling the entire front portion of Representative Gregg Takayama's Office (District 34 - Pearl City, Waimalu, and Pacific Palisades). "This will be a great help for recently incarcerated women to look their best when applying for and working at a new job," said Takayama, Chair of the House Public Safety, Veterans & Military Affairs Committee. "I want to thank everyone for their compassion and generosity to help these women, especially the members of the Women's Legislative Caucus."